100% Brand new, comes straight from the factory. 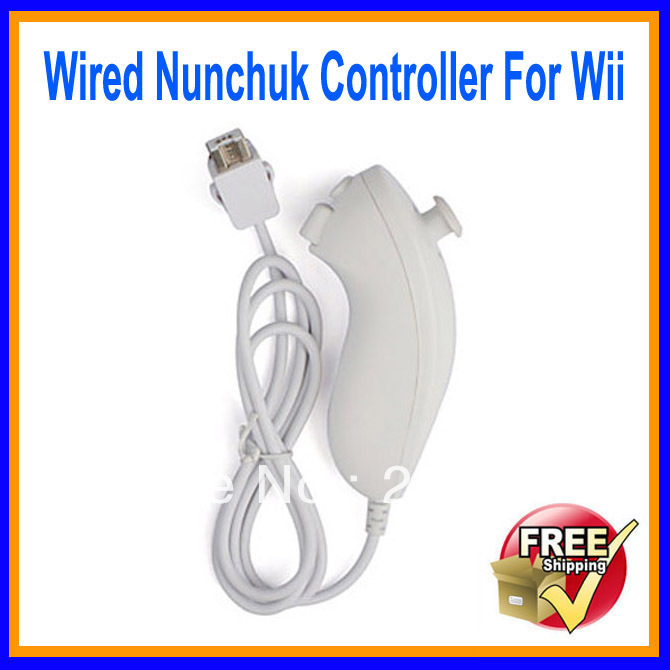 It can use on any region of nintendo Wii. Used in conjunction with the Remote controller. This version, 100% compatible with all US games, software, hardware, and everything else. It is absolutely guaranteed to work perfectly. Covered by our money-back guarantee. In order to support environmental protection and reduce your shipping cost, we have removed the package, however, the items also get very good protection, thanks for your understanding! Your order will be shipped as soon as we receive your payment. A shipping notification with tracking number will be emailed to you once your order has been shipped. Please note there is no tracking number for international orders. By Airmail: Generally, about 15-25 days (Free Shipping). Delivery takes 14-28 working days. Items will be shipped within 1 business day on payment received.Items are shipped from Hong Kong using Airmail reach. Most of the countries within 10 to 20 business days. except West europe, Africa (15-30days). We accept payment on aliexpress. When you confirm order from us, please do the payment before the order end. We stand behind our products. Items can be returned for exchange or full refund within 30 days from the date you receive your merchandise. We are not responsible for any purchase after this 30-day period. Return shipping is the responsibility of buyer unless the return is a result of our mistake (i.e. : your receive the wrong item). We will pay for shipping replacement back to you if an exchange is requested.